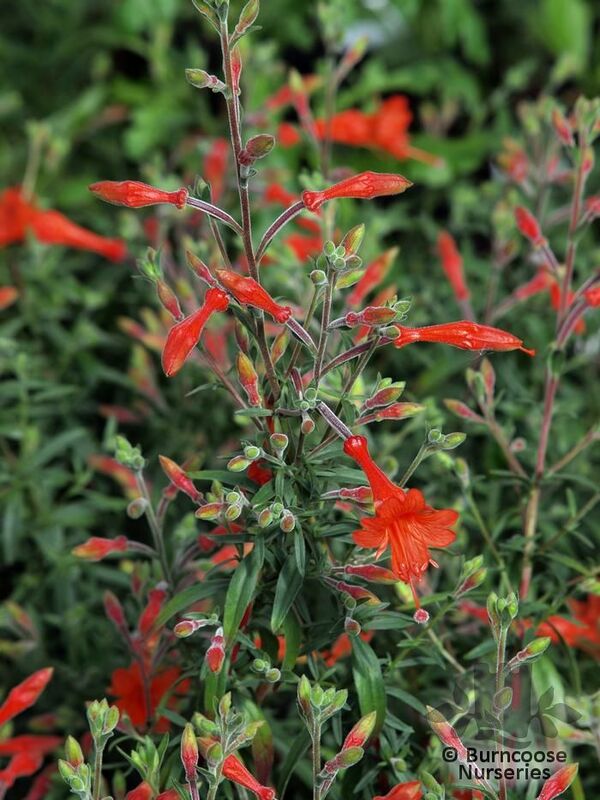 Genus of 4 species of subshrubby, evergreen or deciduous perennials growing on dry slopes and chaparral or coastal sage brush. The flowers are adapted for pollination by birds. 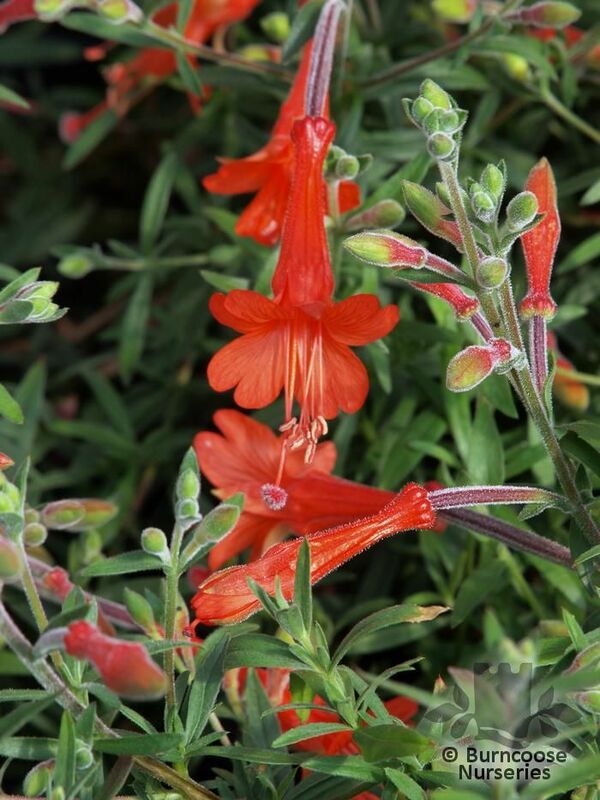 Commonly known as: California fuchsia, Hummingbird's trumpet.